There are 3 ways to tell if a diet will work for you. During this time of year we are being bombarded with diet ads, and “New Year, New You” promises blare at us from every angle in the grocery checkout line. As you’re scouring the diet book aisle, or looking to hit “purchase” on that new online program, make sure that you are checking to see if the plan suits your lifestyle, priorities, and sustainability needs. Here's three ways to tell, right off the bat, if a diet will work for YOU. Does it Exclude Foods You Adore? If it doesn’t allow you to eat foods that you love, why waste your time? How could that possibly be sustainable in the long run? If you find the “perfect” weight loss plan, and it removes every food that you’ve ever loved, don't expect to be able to keep it up for long. 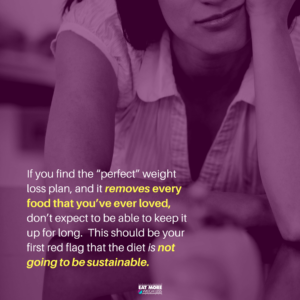 This should be your first red flag that the diet is not going to be sustainable. Any eating plan that helps you to lose weight (preferably from fat), needs to be something that you are going to be able to stick to. 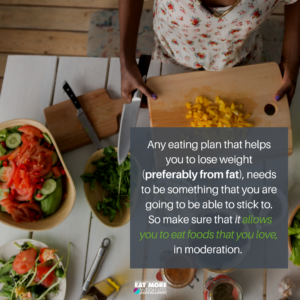 So make sure that it allows you to eat foods that you love, in moderation. You may be convinced that such a thing is not possible — and that you must be punished for your sins of weight gain — but this is a MUST. If fave foods aren't included, you will not be able to be consistent. Even if you do lose the weight, the second you begin to eat “normal” again (adding back all the things you cut out during your “diet”), it all piles back on (and then some). Does it allow you to be flexible? Let's say it does cut back on certain types foods, and you don't mind. Maybe you do truly want to reduce your intake of it, or start eating less of certain things overall, is there still a flexibility aspect to it? Or are the rules very strict? If you go “off track,” will you ruin your diet and feel hopeless? It shouldn’t be all or nothing. If the diet doesn’t allow you to eat cake at your sons birthday, have the occasional dessert, drink that glass of wine when you’re out with your husband, how will you feel during those moments? 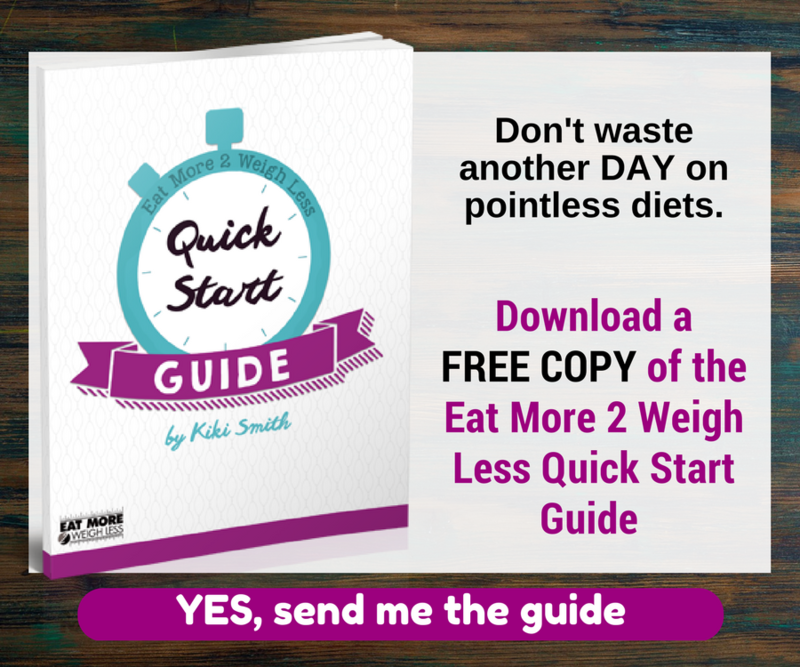 Can you decide to eat something (that maybe you’re not eating all of the time) during a special occasion, without feeling like “ugh!…I blew my diet!”? If that’s the case, then whatever you’re doing is probably not sustainable. 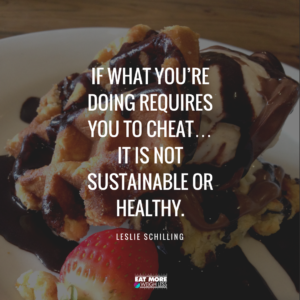 One of my favorite quotes from Leslie Schilling, says that “if what you’re doing requires you to cheat…it is not sustainable or healthy.” If you have to have cheat days (including unplanned binges), where you’re allowing yourself to go off-the-rails, eating any and everything…then maybe you need to be rethinking it. If you don't have flexibility, and permission to eat the foods you love built in to your diet, you’re eventually going off-the-rails anyway. The best example of this is the “I'll start my diet Monday” mentality. If Monday through Friday your diet is perfection, but Saturday and Sunday you’re binging so much that it completely outweighs what you did the rest of the week — then it was pointless. You’d have been better off having some type of treat everyday, in small amounts, rather than going crazy on the final day. Often we spend so much time during the week avoiding the craving, only to give in at a later time (aka the weekend). The problem is that we could have simply had a small amount and been fulfilled when the craving was small, rather than “needing” to insanely overeat the same food when we eventually run out of willpower. Dieting plays an enormous role in Binge Eating Disorder (BED). We spend so much of our lives dieting, and trying to claim victory over our willpower, that we don’t realize what’s happening. Restriction is the most common precursor to binging. Refusing to acknowledge this, triggers a nasty cycle: you horrible that you binged, but since you've “already ruined it” you keep going, vowing to start your diet Monday (again). Come Monday, you’re super strict (again), yet you can only hold out for so long…then you binge. Rinse. Repeat. Does it Promise Specific Amounts of Weight Loss? Weight loss is individual to you. 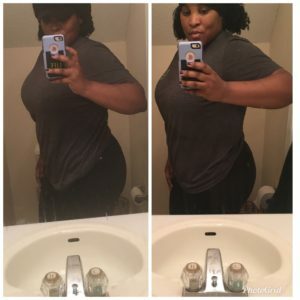 Anything that touts “10 pounds in 10 days” or otherwise promises you're going to lose a certain amount of weight in a specific amount of time is bull…crap. (yep…I went there :P). Those types of claims are not promoting individual results, meaning: it's not realistic. Your mental energy (and precious muscle mass) will likely be wasted, trying to force something (that may be unnatural!) to happen within a certain amount of time. You may see temporary (mostly water) weight loss on the scale, but you will likely land right back at square one (or worse) when it's all said and done. And for what? A few days of feeling like you've accomplished something because a few magical (and fleeting) numbers flashed on a scale? No one can guarantee you any amount of weight loss in a certain amount of time. So when you come across a new plan, that appears to be making such promises, read the fine print. You'll typically find that it says “results not typical” or “lose up to X amounts.” Your dieting results must always include your individual spin; in execution AND results. One person may start losing weight right away, (newbie dieters tend to lose all the weight quickly) but another (ie. someone who has dieted over-and-over) may take a much longer time. You have your three red flags (there are more – but let's roll with these top three), so USE them when you feel motivated to take (diet) action. Set aside all impulsive thoughts, or lures of the before/afters, and get real with yourself. If it’s not allowing you to eat the foods that you love, inflexible (you feel like it has to be all-or-nothing), or it’s guaranteeing you a certain amount of weight loss (there’s no individuality variables)…RUN (don't walk) away. The diet that allows you to be consistent is always the diet that wins, period. The perfect diet that you do in spurts, is never going to outweigh the imperfect diet that you do consistently. So find something that you can do consistently, even if it just means that you’re taking baby steps (start with ONE habit, and run that sucker into the ground until it's second nature). Temptation is about to hit. Stay strong. Great article, the first time I prepped my self for a show I was following a “fat diet” consisting of chicken and rice all day everyday and as soon as I completed the show I gained 15 pounds because the lifestyle I’ve built wasn’t sustainable. Now I’m taking different approach including the foods I love and I’m looking and feeling much better. Greetings, Simeon.